Los Angeles is fairly big, in fact the second-biggest city in the US after New York. There are about 3.8 mio people just in Los Angeles. There are numerous cities around LA itself, such as Santa Monica, Culver City, Hollywood, Gardena, Torrance, Long Beach, etc., and you wouldn''t know you left LA. Los Angeles County includes most of those cities and there are more than 10 mio people living here. And then there are almost 3 mio more people in Orange County (cities like Santa Ana, Costa Mesa, Irvine). I moved to LA at the end of January 2005 with a missionary team led by Winston Bui. 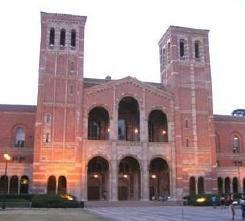 We started itinerating for Chi Alpha and we started ministry at UCLA in September for the fall quarter 2005.